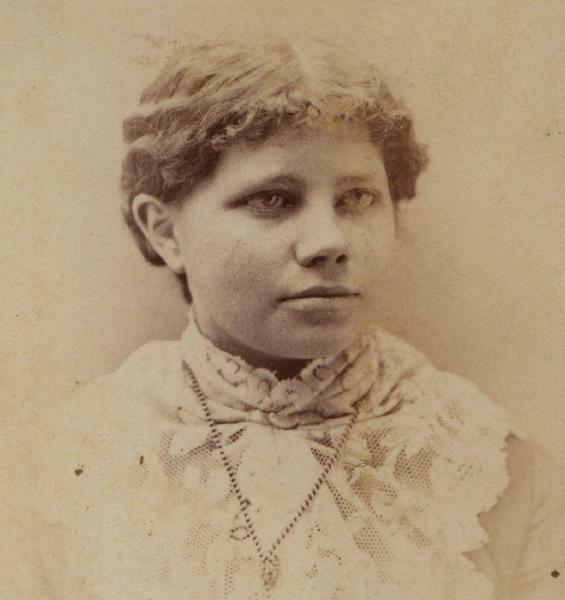 Cora Almeda Lindsey was born on 9 July 1864 in Wyoming County, New York. Carmi Van Rensselaer Lindsey and Lovisa Smith, appeared in the US federal census of 1 June 1870 in Attica, Wyoming County, New York. Other members of the household included Cora Almeda Lindsey, Grant Lindsey and Kiliab Lindsey. Also in the household were one young male farmhand and one young female domestic servant. Carmi Van Rensselaer Lindsey and Lovisa Smith appeared in the US federal census of 1 June 1880 in Attica, New York, living next to Carmi's brother Martin and his wife, who was Lovisa's sister Lovina.. Other members of the household included Cora Almeda Lindsey, Grant Lindsey and Leora May Lindsey. Also in the household was one farm laborer. 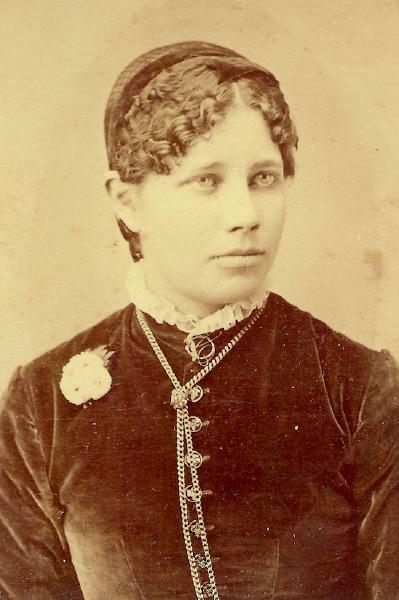 A photographic portrait of Cora as a young woman is found in a family album. 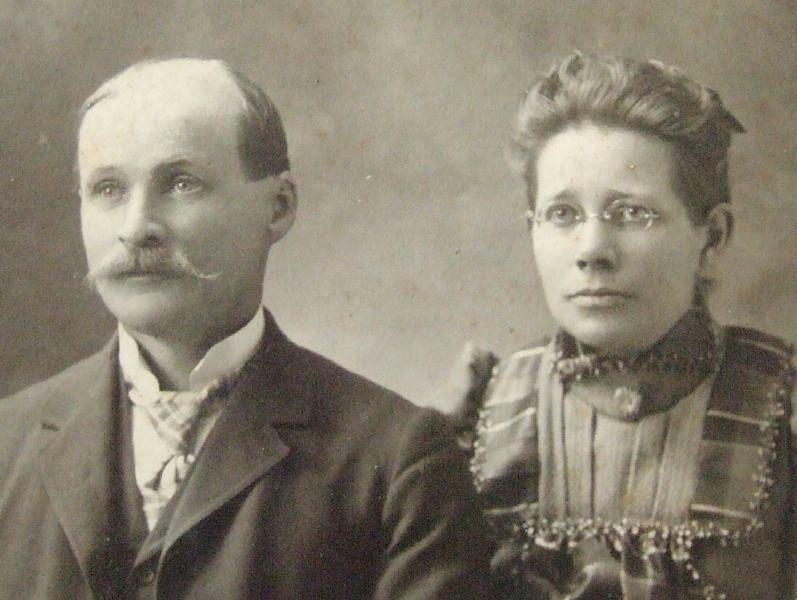 She married Henry Sierk Jr., son of Henry Sierk and Elsabe Oldswager, on 31 December 1885, and Cora's first cousin Kate Lindsey married Henry's brother Jacob. 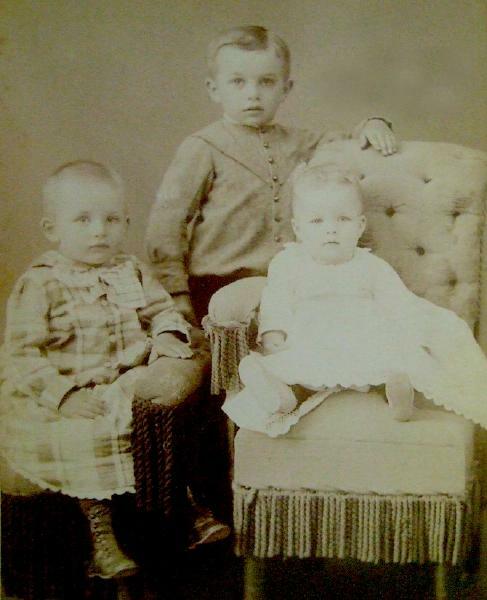 Sierk children Glen, Ray and Mary were photographed about 1891. Henry Sierk Jr. and Cora Almeda Lindsey appeared in the US federal census of 1 June 1900 in Attica, New York. Other members of the household included Ray Grant Sierk, Glen Henry Sierk, Mary Ethel Sierk, Leo Carmi Sierk and Lillian F. Sierk. Also in the household was nephew Leon Vanvalkenburg, age 16, working on the farm. 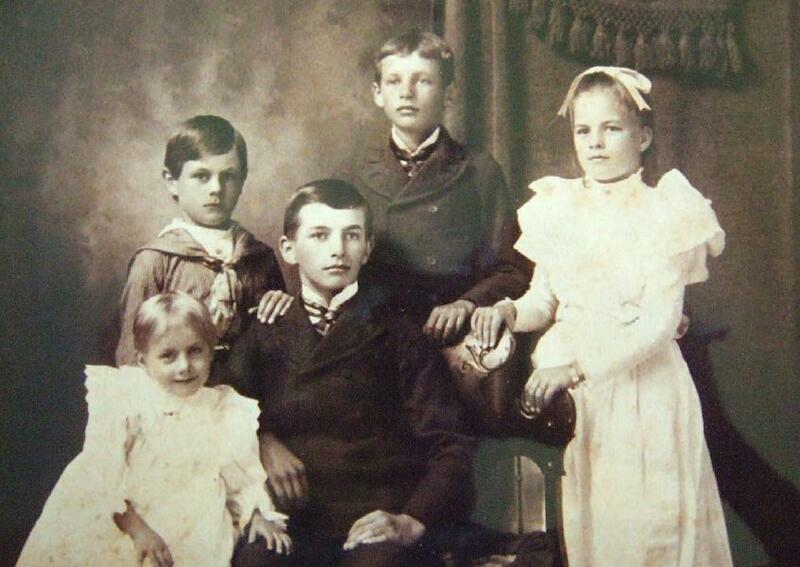 A photographic portrait was made of Henry and Cora Sierk and their children, about 1905. The following appeared on 29 April 1908 in the Wyoming Reporter: (West Middlebury) Mr. Lindsey of Attica is a guest of his daughter, Mrs. Henry Sierk. Henry Sierk Jr. and Cora Almeda Lindsey appeared in the US federal census of 15 April 1910 in Attica, New York. Other members of the household included Ray Grant Sierk, Glen Henry Sierk, Mary Ethel Sierk, Leo Carmi Sierk, Lillian F. Sierk and Carmi Van Rensselaer Lindsey. 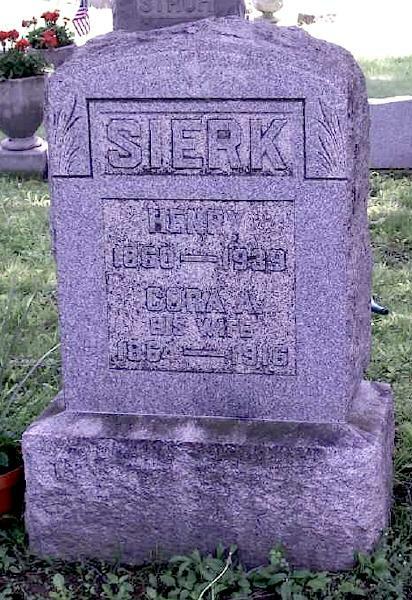 Henry Sierk Jr. became a widower at her death. Cora Almeda Lindsey died on 24 May 1916 at age 51 in New York. The following appeared on 1 June 1916 in the Silver Springs Signal: Mrs. Cora Almeda Sierk, wife of Henry Sierk, died last Wednesday at her home in the town of Attica, after a long illness, aged 51 years. A single grave marker identifies the graves of Henry Sierk Jr. and Cora Almeda Lindsey.